"If you are a person who wants to works professionally in a library, providing access to information in books to people of all ages. Then a job as a Librarian is for you. This job also entails keeping people quiet, putting away books and keeping your sanity among other things." 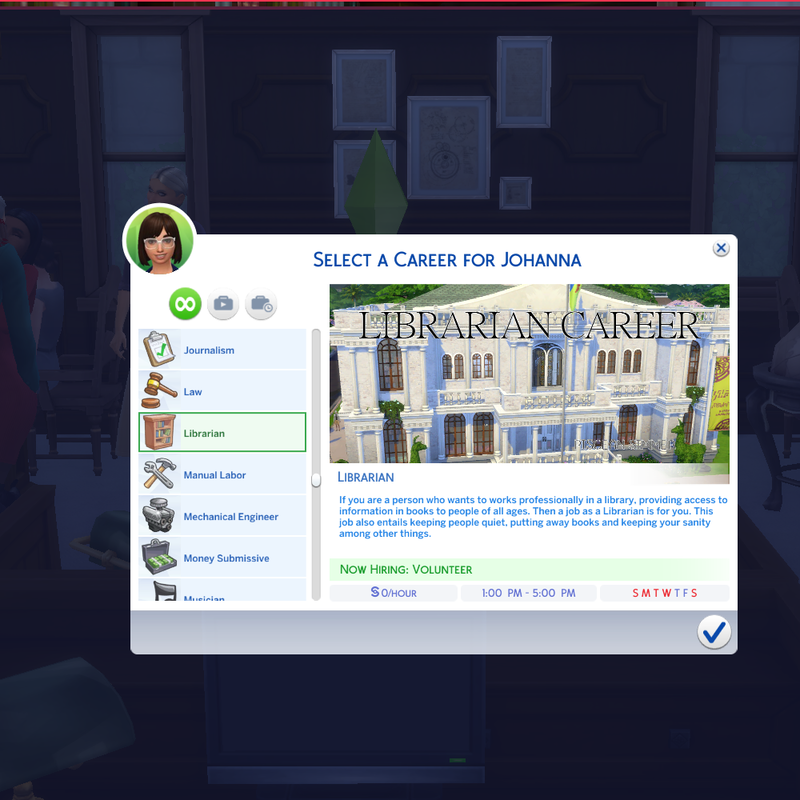 This is a rabbit hole Librarian career with 10 levels. This career comes in English, French, Spanish, and Russian. I used Google Translate. If anyone who speaks the last 3 languages wants to help me correct them message me. Volunteer - You love the library and books so much you have decided to volunteer your free time to the library's needs. You just love the smell of books and you feel like you are making your favorite place a better place for others. What you gain in knowledge and experience makes up for making no paycheck. Maintenance - The library wouldn't function as nicely without you in it. Your job is not considered glamorous and you don't really get too much respect from people but you do a lot for the library. How else will things get fixed or cleaned if you are not there? Without you, the library wouldn't be such a wonderful place to visit. Days: Monday, Tuesday, Wednesday, Thursday, and Friday. Librarian Assistant I - You have decided you want to work in a Library. Your first job is to help librarians and library technicians. You organize library resources and make them available to users. You will work the circulation desk, lending and collecting books, periodicals, videotapes, and other materials for the public needs. Librarian Assistant II - Your job includes much of what you are used to doing, but with more responsibility. You now are part of a certain collection in the library and responsible for helping the librarian in charge maintain it. You assist with the ongoing tasks associated with the circulation of materials including pulling, sorting, and reshelving books and serials in your collection. Librarian I - You are no longer an assistant, now you have more responsibility than ever. You will be providing information in general reference, children's and young adult services, classify catalogs or reviews and evaluate library materials. You are also responsible for the transportation of said items between libraries. Librarian II - You are now responsible for a lot more. You get to oversee professional, paraprofessional and clerical staff. You promote library services by giving book talks and conducting programs and outreach activities. You also Interpret library policies and objectives to staff and customers. Basically, you have your hand in a lot of cookie jars, but you are not in charge of it all. Librarian III - You have all the responsibilities of your last two promotions, but you now you get to catalog and classify the more difficult library materials. You will also be responsible for designing, monitoring, updating departmental intranet and internet services. You are also in charge of the library during the short-term absence of its manager, as needed. 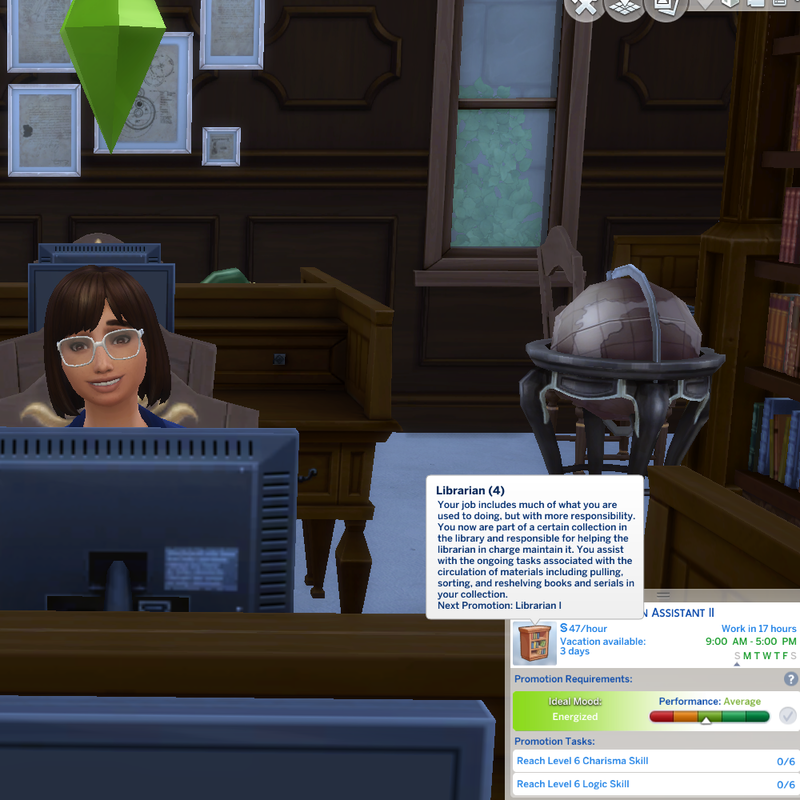 Library Manager - You are now responsible for managing the operations of the library. You are responsible for supervising all staff, keeping records, statistics and preparing reports for your bosses. You make sure the Library runs smoothly. You are the glue that holds all the pieces of the library together. I hope you like being the middleman. Assistant Library Director - You now work under the direction of the Library Director. You make sure the library is achieving its mission to provide accurate and friendly reference services, an up-to-date collection that is based on your demographic, and programs, that use the variety of the Library's resources. You do not deal with the public or staff as much as you used to. You now get to help with the everyday functioning of the libraries in your district. Library Director - Congratulations you have gotten to the top of your chosen career. As the Library Director, you are now responsible for all aspects of library administration, including long-term planning, budget development and control, personnel selection, facilities management, and ongoing assessment of library resources in your district. If you have Neia_Careers_Commons.package installed to use with other careers, you only need 1 installed! 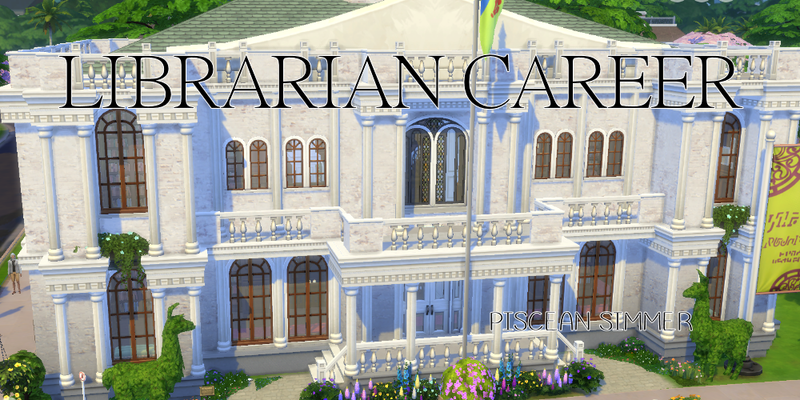 PisceansimmerCareersLibrarian.rar | Description: Sims 4 Librarian Career in English, French, Spanish and Russian. T.O.U included in download.